Anyone interested in the recent removal of the sycamore trees at the Lake Fayetteville dam is invited to a public discussion this week. The Lake Fayetteville Watershed Partnership will host a public talk at 6 p.m. Tuesday, Nov. 7 inside Lewis and Clark Outfitters, 4915 S Thompson Street in Springdale. During the event, city officials will give a presentation about the history, maintenance, and current issues of the dam. 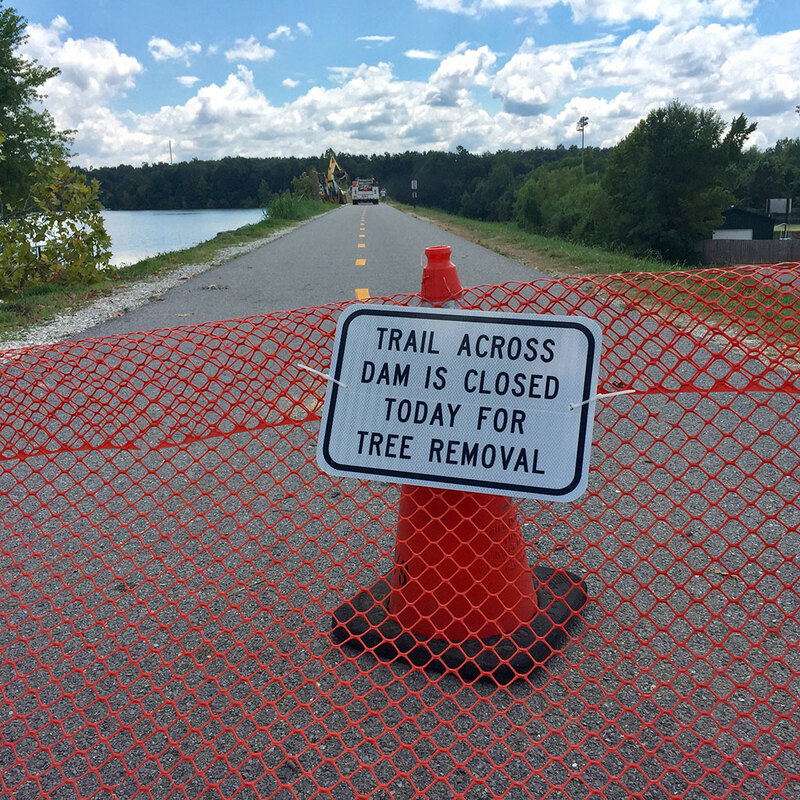 Crews earlier this year removed 19 established sycamore trees on the east side of the paved trail that runs along the lake dam between the marina and spillway bridge. The trees’ root systems posed a threat to the integrity of the dam, leaving the possibility of future dam failure.